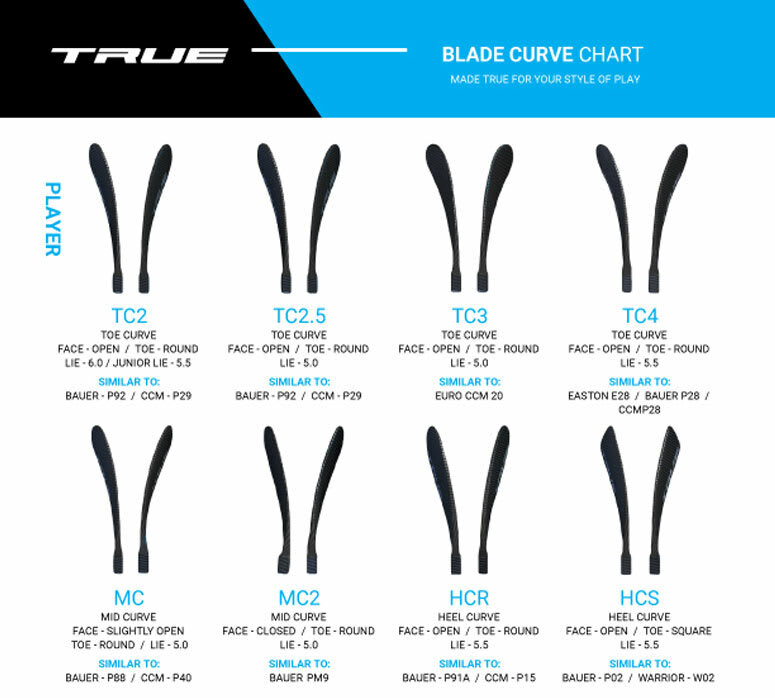 TRUE A5.2 SBP Grip Composite Hockey Stick 2018 - Senior is rated 5.0 out of 5 by 1. The second highest model in the new A Series for 2018 is the A5.2 SBP composite hockey stick from True. The A5.2 SBP composite hockey stick is designed for players looking for the elite shooting performance of a pro stick with even better durability. The A5.2 SBP composite hockey stick comes in weighing at 435g and has a swing weight of 649. Many of the same technologies found in the top of the line model, the A6.0 SBP composite stick, can be found in this model as well. You will see that the A5.2 SBP composite stick has BRT+, Axenic Technology, SmartPly, and SmartFlex. All these features give you the top of the line performance you are looking for. The BRT+ technology improves the durability of the blade while keeping it light and responsive. The Axenic Technology is a unique process of compression molding that allows this stick to be a true one-piece composite hockey stick. You will experience unmatched feel with this true one-piece design. The SmartPly technology is another process which helps create a harmonious union of weight, balance, and impact strength. To finish up the A5.2 SBP composite stick, True used their SmartFlex design process to create a stiffness profile which is optimized for all shot types. This results in a more powerful shot from nearly any shooting position.